Ripples of Change: Building Awareness, Taking Action! 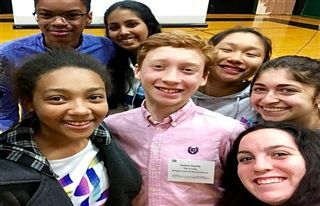 Early Sunday morning on April 7th, a group of students and two chaperones boarded a KO van to attend the CAIS Commission on Diversity In Schools (CODIS) Student Diversity Leadership Conference (SDLC). 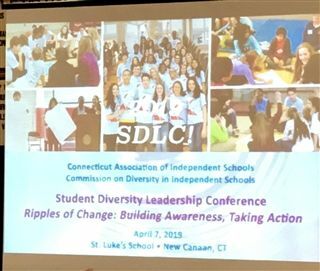 The 17th annual SDLC was held at St. Luke’s School in New Canaan, CT and welcomed 585 students and educators representing 36 independent schools to engage in the theme “Ripples of Change: Building Awareness, Taking Action!" Students from St. Luke’s served as the masters of ceremonies and their SDLC choir sang a moving rendition of MLK. One of the KO students commented that she always loves hearing the different perspectives from the student attendees. She is committed to having more conversations centered around ability and socio-economic status at our school.